The ‘Creating Digital Pathways for Young People’ Conference, was held today (18.01.17) at the National College of Art and Design (NCAD) in Dublin, and focused on the sharing of best practise for developing the digital skills of young people and empowering them to be digital entrepreneurs. The Digital Hub Development Agency, H2 Learning, Krzyzowa Foundation (Poland) and MFG Baden-Württemberg (Germany), alongside NCAD, have partnered to deliver today’s conference. The conference shared the outputs of the Erasmus+ funded project, ‘Digital Skills Pathways for Youth across Europe’ which was inspired by The Digital Hub Future Creators Programme, developed by H2 Learning and NCAD. The collaborative project has developed an out-of-school digital media programme for young people, ‘Digital Pathways’, which was officially launched at today’s conference. The programme includes a package of resources for organisations and individuals working with young people all over Europe. The project aims to provide teenagers with opportunities to develop a range of digital literacy skills including 2D animation, social media, sound, film, digital image editing and game making. It aims to inform young people of the wide range of possible careers in this evolving sector and to identify pathways they can follow into further education and future employment in the field of digital media. NCAD partnered with several local schools through their third level Access Programme to recruit participants for Digital Pathways. Speaking at today’s conference, Bernard Hanratty, Acting Director of NCAD said: “The area of digital literacy is becoming increasingly important within society. As a third-level institution that prides itself on fostering creativity and innovation, we are aware of the need for students to have a good cross-section of skills. Programmes like Digital Pathways help young people to build skills that are hugely important at third level and also in the working world. Today’s conference heard from digital mentors from Ireland, Poland and Germany on their experiences with the Digital Pathways Programme and their work with young people. 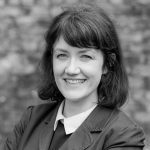 Speakers include: Fiach Mac Conghail, CEO of the Digital Hub Development Agency; Bernard Hanratty, Acting Director of NCAD; Dr. Michael Hallissy, co-founder of H2 Learning; Sinead McDonald and David Cotter, NCAD Digital Mentors; Darek Horbaczyk, Krzyzowa Foundation, Poland; Sabrina Maroni, MFG, Germany; and Denise Shannon, project officer, Léargas. The conference will also hear from Jonathan Joyce, a participant on the Digital Pathways Programme. Further information about Digital Pathways is available at: http://digitalpathways.eu/. 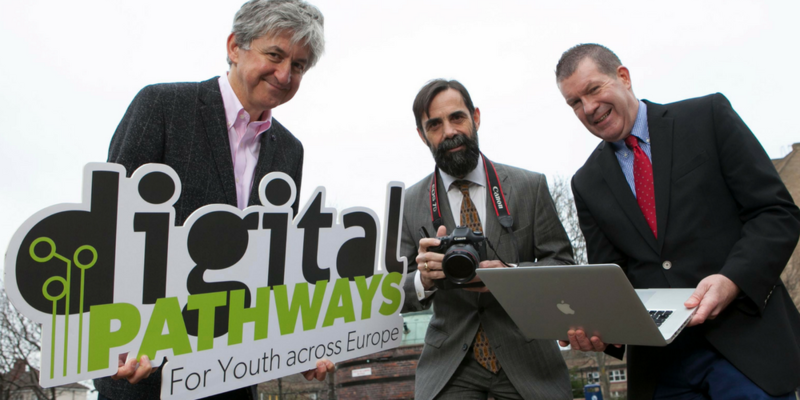 The Digital Pathways for Youth across Europe is a project funded by Erasmus+ Programme of the European Commission through Léargas, the Irish National Agency.